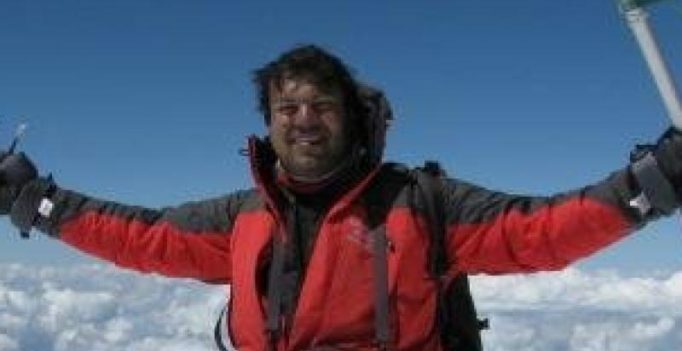 Kathmandu: Satyarup Siddhanta only discovered he was at the centre of an Everest fraud when he spotted news of a couple whose false claim to have scaled the world’s highest peak has set off a debate about how mountaineering feats are authenticated. In 2016, Indian couple Dinesh and Tarakeshwari Rathod provided just that, before other climbers said their story and photos didn’t add up. In one photo, Tarakeshwari’s face had been superimposed on Siddhanta’s, the colour of his boots changed and India’s national flag pasted over his hands. In another, Siddhanta had been replaced by Dinesh. “I looked at their photo and immediately recognised the people around,” Siddhanta said. Standing at the top of the 8,848-metre (29,029-foot) mountain adds a star to a climber’s resume, and many go on to forge careers as motivational speakers and authors. “Climbing was never a competitive sport, but now there is so much pressure to find some way to be the ‘first’. There’s the pressure to find sponsors and then the pressure to be special,” said German journalist and climber Billi Bierling. Dawa Steven Sherpa of Asian Trekking, one of the oldest operators in the Himalayas, told AFP that his company had received such offers — but turned them down. “If it becomes more common, the government should take steps. Perhaps have an expert panel assess the summits,” Sherpa said. The head of Nepal’s tourism department, which grants the certificates, conceded the system had loopholes. The department is considering giving climbers GPS trackers — a system also open to exploitation as the small devices can easily be given to other climbers. “We don’t expect mountaineers who come to climb Everest to cheat,” Dinesh Bhattarai said. That sentiment is also shared by Himalayan Database — considered one of the most authoritative records of mountaineering feats within the climbing community. The archive — a record of expeditions to around 400 peaks in Nepal dating back to the 1920s — was originally started by journalist Elizabeth Hawley, once described by Edmund Hillary as the “Sherlock Holmes of the mountaineering world”. “If you tell me you’ve summited, I’m going to believe you. It’s you who has to live with the lie if you do,” said Bierling, who in recent years has largely taken over management of the database from 92-year-old Hawley. The database has 21 Everest ascents marked as “disputed” and another 18 considered “unrecognised”, meaning it was obvious the climbers had not achieved what they claimed. “Mountaineering used to be honourable. Now if we can’t count on the word of climbers — that’s sad,” said Bierling.